Celebrating 20 years of excellence, the Original Bourbon Cigar by Ted's remains a best-seller and classic customer favorite. Handmade in the Dominican Republic, Ted's Original Bourbon Cigars are aromatically seasoned with Makers Mark bourbon, making them a truly unique premium cigar with all of the character of a premium bourbon - the perfect recipe for the ultimate in relaxation. 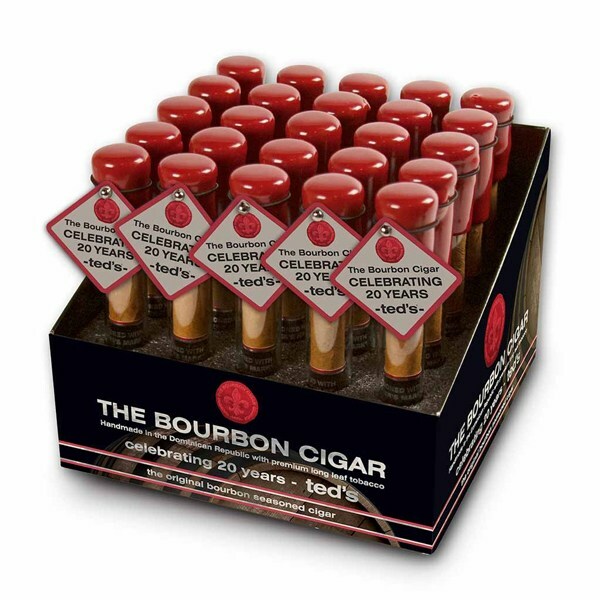 Each Original Bourbon Cigar By Ted's comes wax-sealed in individual glass tubes and requires no humidification.